Pulmonary trunk dividing into 2 pulmonary arteries. Superior vena cava (lower half). 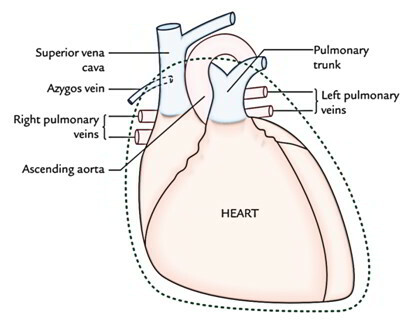 Pulmonary veins (left and right). 6) Lymph nodes: Tracheobronchial lymph nodes. Left and right principal bronchi. 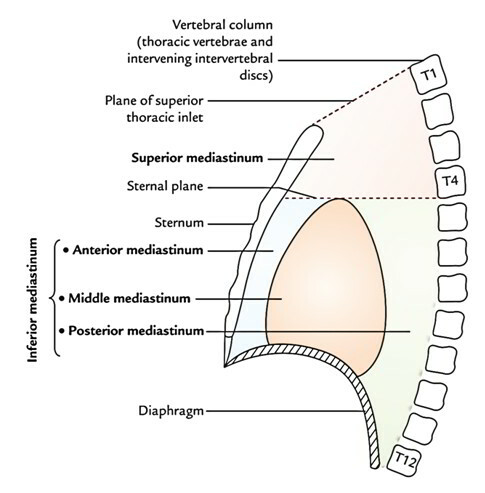 The main contents of middle mediastinum are pericardium and its contents (example, the heart and roots of its great vessels).